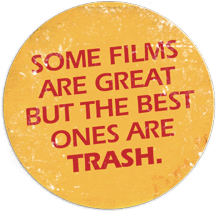 TRASH NITE: TRASH NITE presents BIG MEANIES! TRASH NITE presents BIG MEANIES! 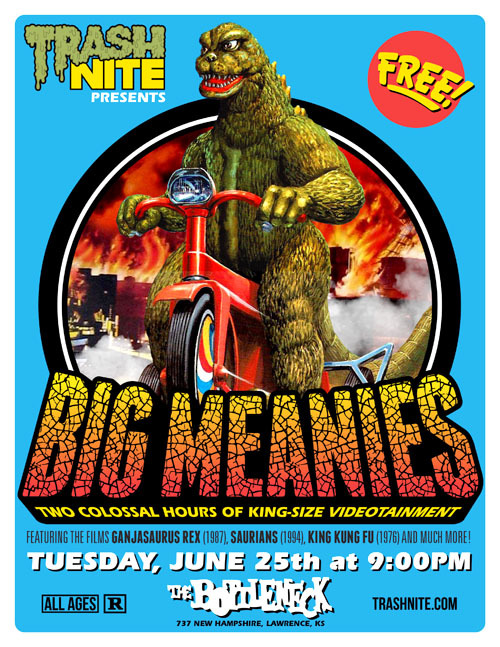 We're taking over the Bottleneck for the summer once again and this month, you'll be face-to-face with BIG MEANIES, a Trash Nite special presentation! It's two colossal hours of king-size videotainment, featuring condensed versions of the films Ganjasaurus Rex (1987), Saurians (1994), and King Kung Fu (1976), all put together in the style of a mid-80s local TV broadcast, complete with kaiju-themed commercial breaks and MUCH MORE! All ages are admitted and it's absolutely FREE!